This modern, comfortable and very dog friendly cottage, one of a pair purpose built for holiday letting in the friendly and quiet village of Trunch. With its easy, open plan living space, underfloor heating and slate floor plus the very secure garden, it is a popular choice with dog owners particularly as it is a short walk to the dog friendly local pub and a few minutes’ drive to many of the local, sandy and dog friendly beaches. The surrounding countryside provides plenty of easy walking and there is a lot to see and visit in the area generally. The owners are real dog lovers and are happy for any number of dogs to holiday here! Plenty of parking on the gravelled area at the front of the house with a small, neat front garden and traditional lavender planting under the front window. The front door leads straight into the hallway with hanging space and a hall table. The hallway has a slate floor with underfloor heating. Just inside the door is the downstairs toilet/cloakroom. Off this is the…. Slate floor (non slippy) throughout with underfloor heating. Two comfy sofas, coffee table, flat screen tv with Freeview and a NowTV box and DVD player. There’s a small woodburning stove to cosy up to on those winter evenings and a wooden dining table that easily seats 6. Open plan kitchen just off the dining area, fully fitted with electric oven, gas hob, large fridge/freezer, microwave, dishwasher, washing machine and plenty of well planned cupboard space. From here there are French doors opening out onto the .. Laid equally to grass and patio and very securely fenced with a solid fence of approx 6ft all round. Whilst not large the garden is totally dog proof and the patio area has a table and chairs and bbq. Access to the garage is from here. Back inside…. Stairs lead from the hallway up to…..
Twin beds with view over back garden and flat screen tv with dvd player. Wardrobe storage space, side tables and lamps. Double bed with substantial wardrobe and chest of drawers, side tables and lamps. Tv and dvd player also. View out over front of house into quiet lane. Modern with shower over bath, heated towel rail, toilet and sink. Garage: Crates stored in here for guest use. Dart board and additional fridge and freezer which are switched off but there for guest use – useful if you feed raw. Some Summer school holiday weeks still left to book! Trunch can be easily accessed from North Walsham or off the coast road from Gimingham or Mundesley. There is one main road that goes through the village and at the centre of the village is the shop, church and pub. Chapel Road runs down the side of the shop and Farthing Cottage is a couple of hundred yards down the road on the right behind a wall and fronted by a large gravel parking area with the name sign, Warren Farm. The cottage is one of a pair – the one on the left. This is our first visit to Farthing Cottage and we will definitely be returning. Beautiful, cosy cottage equipped with everything we could need and more, the dogs loved the secure garden. There are lots of lovely walks nearby, especially Pigneys Woods and some of the close by beaches. We all loved Sheringham Park and Sea Palling. The food at The Ship Inn (Mundesley) and Fur and Feathers (Woodbastwick) we would highly recommend. Thank you. Loved Farthing Cottage, really warm and cosy. The welcome pack was really nice and the hounds loved the biscuits. We visited Bacton Woods again and Sheringham which we hadn’t visited for 12 years. We have a relaxing holiday. We are hardened, dog owning self caterers, especially in this area and Farthing Cottage is one of the best, and certainly the best equipped and most dog friendly we have encountered! Our third stay at Farthing Cottage and it definitely is a home from home. The garden is very secure for our lurcher and the cottage it’self is lovely and warm. We came to escape the New Year fireworks as our dog is scared and luckily only heard a few in the distance. Fergal thinks Farthing Cottage is his 2nd home and is very relaxed here! A definite home from home cottage, everything provided we could possibly need. Really cosy and warm and such comfortable beds! Only here for a short break but Mundesley beach provided fabulous safe walking for dogs going crazy with the sand between their toes! Cromer was a lovely day out, a proper seaside town, with some beautiful Victorian buildings. We'll definitely be back for longer next time so we can explore this beautiful part of England with more time to enjoy it. Thanks for thinking of everything. First visit to Farthing Cottage, though we have stayed at another East Ruston Cottage. What a lovely cottage, everything you could need and so warm! We will be back! Diane, Sarah, Charlie and Poppy. Another fabulous week in Farthing Cottage, nice and peaceful away from the fireworks. Our 3rd stay here and already booked for next year! It's our second visit to Farthing Cottage and we have booked for new year already! The cottage is cosy and the garden is great for our lurcher. We’ve had fab weather and a lot of places to visit, Blickling Hall, Sheringham Park and Felbrigg Hall. Our dog definitely can’t wait to come again! Lovely cottage, very comfortable and lovely welcome! Very, very warm! We had a great week, out 2 dogs are sitting looking very miserable as we’ve just packed the car! Thank you. We’ve thoroughly enjoyed our return visit to Farthing Cottage. It’s so comfy and welcoming – and we enjoyed the goodies, and so did the dogs! Our favourite walks this time have been the beach at Mundesley, with many dog friendly cafes to choose from! Definitely speak to East Ruston Cottages for another lovely holiday, truly dog friendly! We’re already looking at booking into next year! Our first visit with East Ruston Cottages. It won’t be our last! Thank you for the arrival goodies of eggs, scones, lemon curd, bread and milk. Also the dogs loved their biscuits ! Had a lovely stay (eventually after a quick phone call we found the garage keys for the dog crates!) it really is like a home from home and we really enjoyed the beaches and how dog friendly the cottage was! The local pub, The Crown, is very welcoming and we had lovely fish and chips at Cromer No1! This was our second stay at Farthing Cottage and we have loved it as much as the first time! Thank you for the lovely welcome goodies – all demolished on the first night! The cottage has been a real home from home, and the garden is perfect for our doggies. Highlights have been Sea palling, The Ship Inn at Mundesley and Winterton Beach. We even managed to see a few seals at Winterton and visited the lovely Dunes Cafe two days in a row! Fantastic holiday! The week has gone far too quick and the dogs are sad to leave. Lovely stay at Farthing cottage! East Ruston cottages never fail to impress with their dog and children friendly accommodation. Thoroughly enjoyed Mundesley beach, Sheringham park, Happisburgh beach and Wells on Sea. A must is a visit to Cromer and to Gunton Arms. Dog friendly pub on the edge of a deer park with out of this world food! Thank you for our lovely holiday! First visit to Norfolk. Farthing cottage is an excellent choice. 3 humans and 2 dogs – all comfortable and relaxed here. The cottage is very well equipped, it is also well situated for exploring the coastline, which was out goal for the week. Can recommend Mundesley, Sea Palling and Happisburgh. The Norfolk wide life Trust at Cley has an excellent visited centre with superb walks on the marshes. Saw some marsh harriers and white egrets. The last day we visited Holkham beach which was absolutely stunning. The week has gone far too quick for us but we have had a splendid holiday. Thank you for letting us share your lovely house! Our first holiday for 15 years and we have had a fantastic time. Mundesley beach is a must. Potter Heigham and Hoveton were also very good. Went to Cromer but preferred Sheringham – the steam train runs were amazing! The restaurants and shops were also very good. Loved Horning Broad although our dog Alfie wanted to take a dog home! It has been so hot this week that we didn’t see as much as we wanted and the week has gone faster than we wished. Farthing cottage has been like a home from home and we all thank you very much. Had a lovely holiday, beautiful sunshine, comfortable cottage and lots of lovely places to visit with the dogs. The cottage is so dog friendly, love the French doors opening in to a secure garden. Trunch is a lovely and a great base. Thanks for the welcome goodies!! The week has sadly gone far too quick but we all shall return home having had such a fab time, the dogs loved every minute from the beaches to the countryside. So thank you! This is our second visit to Farthing Cottage, enjoyed another fantastic week with East Ruston Cottages we are never disappointed when we visit this lovely area. Plenty of wonderful places to explore our little terrier Cocoa loves it here, very safe garden. We will be back. Had a lovely holiday, beautiful sunshine, comfortable cottage and lots of lovely places to walk the dogs. The cottage is so dog friendly, love the French doors opening onto a secure garden. Trunch is lovely and a great base. Thanks for the goodies. The week has sadly gone far too quick but we all shall return home having has such a fab time, the dogs loved every minute from the beach to the countryside. A wonderful week in Norfolk. Farthing Cottage is warm, comfortable and welcoming, especially for the 4-legged guests! The Trunch circular walk offers a lovely view of the countryside and is great to walk from the door. Amazing beaches which Jazz and Betty have made the most of. Thank You! Looking forward to our next visit already! Lovely Cottage very welcoming. Home from home. Thank you for all the lovely treats. Dogs loved the biscuits. We have had a great time here. Found some lovely countryside walks from the door. Also had a lovely walk on Mundesley beach. Thank you for letting us all stay in your cottage. Home from Home. Excellent again!! Thank you for every thoughtful detail at the cottage. We all love it here, the cottage, walks and the friendly locals. We're already looking for our spot next year. What a great house. everything you need, very cosy and extremely dog friendly. We didn't go to a beach because the walks in the folder gave us plenty of walking everyday. Love it! This is our fourth stay at Farthing Cottage and as before has not disappointed. Really love it in Trunch and Norfolk. Can't wait to come back again. Wow! Fantastic cottage to stay. Got everything what we wanted! Our first Christmas away from London. Gifts from the owners to us for Christmas is spot on! Easy to get around as 6th East Ruston Cottage so far, can't fault them. Weather, perfect for Xmas! Will be recommending this to other people. Thanks for having us. Our 2nd visit to Farthing Cottage. A perfect place to escape with our dogs. Love the cottage, very well equipped, everything you could possibly need. We've been lucky with the weather and have had some lovely walks. Already booked for next year! What a wonderful week. Farthing Cottage is truly dog friendly and truly wonderful. Visits to Mundesely, Happisburgh and Holkham beaches - all lovely in different ways. The Crown pub has truly welcomed us and recommended - very friendly locals. Seals at Horsey are well worth a visit - don't miss the Nelson's Head Pub. Bacton woods - lovely walk. Felbrigg Hall was lovely as was Blickling Hall, lovely walks at both. Norwich is well worth a visit, lovely city and lovely Cathedral. Watch out Trunch we are coming back. This was our third visit to Farthing Cottage and we have enjoyed it just as much as the first. It is a beautiful cottage and feels like a home from home. Also love the revamped garden. This time as well as our little Ginny, we had a new addition with us - Griffin the Spanish Galgo. It was his first holiday and he had a lovely time. Over all too quickly as usual but we look forward to our next visit to Farthing Cottage. Thanks for another great stay. We have had a lovely week at Farthing Cottage. It's so comfortable and clean. The village is very friendly with a well-stocked shop and a dog friendly pub. So many places are just a short drive away that it's easy to explore. Our favourite trips have been to Wells-Next-The-Sea and Holkham (with fish and chips on the quayside!). Bacton Woods have amazing walks for us and the dog; and walks around Cromer and Mundesley between the showers. Thanks for the welcome pack goodies, enjoyed by all of us. So, another lovely ERC holiday draws to an end and we can plan next year's stay. Had an enjoyable week in the cottage. Everything we and the dogs needed. Very clean and comfortable. Lovely village with all amenities nearby. This is our third visit to Norfolk and so far this is the best cottage we have stayed in. Hopefully we will be back. We have had a fantastic week in the cottage. Finally, we have found a Fergal-proof garden! The cottage is like a home-from-home. We will be using East Ruston Cottages again in the future. Fergal is a reactive lurcher so we have had to find quiet places to visit. Overstrand beach is great and Horsey Gap too, though there are seals in the sea and on the beaches. Lovely break in the cottage with a lurcher (Tia) and a long dog (Ben Saluki/greyhound). Great dog walking beach at Overstrand. Dogs and people enjoyed the treats left. Very lucky with the weather and impressed how dog friendly Norfolk is. Will be returning to the area. Cottage great for dogs, although Ben decided he would rather eat outside, picked up his food bowl and enjoyed his own picnic! Will be back from Nottingham! Wow! What an amazing week we have had at Farthing Cottage! Been for numerous walks around Trunch and visited the beaches at Waxham, Overstrand and Mundesley. Had a trip to Cromer, had drinks at the Jetty Cafe, very friendly and welcomed Willow with open arms. Kids loved it - nice to drag Finlay away from the XBox. The especially enjoyed Crazy Golf at Mundesley. Looking into our next break with ERC. Feeling refreshed. This has been our first ERC holiday and it’s been wonderful! Such an enjoyable location for walks from the cottage and not too far from a lovely beach at Mundesley too. We visited Cromer, Overstrand and Holkham and Mundesley for the children to body board and for us to enjoy the sunshine. Many thanks for the welcome treats for ourselves and Harry and Belle. The games cupboard was well used by the children also. Farthing Cottage is a lovely snug to come home to after a day exploring. We look forward to our next stay with ERC. Thank you for having us to stay! We have had a great 2 weeks here at Farthing Cottage. We have holidayed in Norfolk for a number of years and we can probably say that Farthing Cottage is the best one we have ever stayed in! The kitchen is really well equipped and as we love to cook using the lovely local produce, this was a bonus! The garden was also very appreciated, totally dog friendly and a good size. Trunch is a lovely village, everyone is very friendly. The Corner Shop is very good. As usual, we have tried lots of local produce - Tavern Tasty Meats at Swafield do fantastic sausages try the piri piri ones), the Fair Maiden in Happisburgh sells the best fish (also a great beach there). Thanks for the welcome goodies at the start of the holiday - our older dog Timo still doesn't like the homemade dog biscuits but the pup Markhu, loved them! Town: Holt - everywhere is dog friendly in Norfolk. Accommodation: Farthing Cottage - home from home. Cakes delish! Dog treats 'mmmm!'. Fabulous. Quiet area and beautiful beach but keep it quiet others may want to come too! Many thanks to ERC - excellent service, highly recommended. Week over too quick. Gill and Dave also say thank you, now relaxed and waiting to come back again! A lovely well equipped cottage with a very secure garden. We come to Norfolk a lot and use East Ruston Cottages for most of our visit’s, this cottage has to be amongst their best. A great week. Wow! What a beautiful cottage and so well equipped. It’s a home from home and what a lovely welcome with all the goodies - and our Leo has not been forgotten - biscuits for him too! Had an excellent Sunday lunch at The Crown Inn in the village by the church - well worth a visit. It would be a shame to miss out - advisable to book and dogs very welcome. The 40 minute Trunch walk is a lovely walk through the fields and lanes. Mundesley is well worth a visit, and if you park opposite Jonet Bakery and Restaurant, it is very friendly and Kevin the owner allows dogs. You are more than welcome inside and he does a lovely breakfast including for vegetarians. Cromer, Sheringham are nice places to visit, with lovely beaches. It is beautiful scenery wherever you walk, or in the car. You are spoilt for places to go and it is a dogs’ paradise. We will be visiting again for certain. Our first ERC holiday and I’m sure it won’t be our last. We have had a really wonderful week at Farthing Cottage - a delightful place to be based for our holiday. Thank you for the lovely treats that greeted us upon arrival and the cottage has everything you need to make this a comfortable home from home! Highlights - all the wonderful sandy beaches such as Happisburgh, Sea Palling, Overstrand and Horsey. Bacton Woods are also well worth a visit - truly beautiful! So many dog friendly pubs and cafes to choose from but we have particularly enjoyed The Hill House at Happisburgh (where Molly was presented with her very own tub of diced cooked chicken!) , the Vernon Arms at Southrepps and our personal favourite, The Cliff Top Cafe at Overstrand and the Sugar and Spice Cafe at Bacton. It’s been a fantastic holiday, but over too soon! Thank you for all the lovely touches at Farthing Cottage. Another fabulous week in Farthing Cottage. Being our second stay, beginning to feel like a home from home. Our dogs Pepsi and Max, settled in straight away as if they had never been away. Treats as well received as before and thank you for the Victoria Sponge - scrummy as before. We love the cottage, the location, Trunch itself - all so friendly and welcoming. All the wonderful sandy beaches that go on for miles. Time for doggy freedom!!!! All the walks along the coastal paths and seafronts make for a healthy time. (Much needed too!) So many favourite places - Sea Palling, where the cafe does the best doughnuts, and sausages for the dogs. Cromer and Sheringham, so pretty and great to walk around. A wonderful time at Holkham where you can walk through the woods then out onto miles of expansive sand, especially when the tide is out. We will be back. We have had a lovely week at Farthing Cottage. Thank you for all the lovely treats (the daffodils lasted all week). Bonnie so loved Nero's Biscuits that we made a special trip to Happisburgh to stock up for her and to take some home for her friends. We have had lovely walks at Felbrigg, Blickling, Holkham and Sheringham. All great estate walks with teas/coffees afterwards. Bonnie loved all the beaches and we were the only ones there at Overstrand! Saw seals at Horsey and lots of wildlife generally. The local shop was well stocked. We will all go home very relaxed. This is a wonderful cottage and we have all had a lovely holiday. The cottage is perfect and everything you could want is here, put that together with a beautiful part of England and you get perfection! The seals at Horsey are a must. We got a bit lost on one of the local walks (parked in the wrong car park) but we still enjoyed it - we can come back and try again! We had a trip on the Poppy Line steam train - even the dogs sat still and enjoyed it. This is our second stay with East Ruston Cottages, and as I write this, I await an email hoping it can be confirmed that we can stay in another cottage in October, as sadly this one is booked. We have had a great week at Farthing Cottage. First holiday with our 6 month old pup Zac. Comfortable, warm and welcoming cottage with the extra touches, jam and eggs etc. Have visited the local pub, The Crown, which is dog friendly and Thursday curry night is excellent. The Ship at Mundesley is very dog friendly and the beach is great for running puppies and dogs on. Will be back next year. We've had a lovely, restful week here at Farthing Cottage. The cottage is really cosy and everything that we could possibly have wanted is here. Our three dogs settled in straight away, in fact every evening was spent with them flat out after their runs at Mundesley or Overstrand beaches. We have thoroughly enjoyed our visit and hope to visit again. Excellent cottage with everything you will need and more. We have never managed to get away at New Year before so this was a real treat that we had time off together to enjoy this special time as a family and with Alfie the Patterdale and couldn't have asked for a nicer place or wanted for anything. Lovely walks around the village and on New Years Day and on Saturday we had a 4 mile walk on Mundesley beach......gorgeous - great weather. I would like to say thank you for the welcome pack - Alfie loved his treats as did we and I have already recommended this cottage to others. Great communication throughout - Oh! and the 9 and 15 year old boys loved it! Thanks and Happy New Year. Thank you for a lovely, warm and cosy cottage. Had a great time walking on the beach and the lovely walks around this area. Well equipped cottage. Four very happy and tired dogs. Was a lovely short break. Had a lovely long weekend with our two dogs. Cottage is very homely with everything you could possibly need - especially the dogs. They loved snoozing on their beds in front of the fire. Loved the idea of 'we're on holiday' collars. Have never seen these before! Had lovely walks on the beach and Bacton Woods. Enjoyed lunch at Smallsticks Cafe. The village shop is excellent - so helpful and friendly. Would definitely recommend Farthing Cottage! What a lovely cosy warm cottage! We had a very relaxing week. Would recommend the beach at Sea Palling, followed by tea and cake at Wroxham Barn Cafe (open April – Oct). Also Overstrand with tea at the Cliff Top Cafe. Saw seals at Sea Palling. Tasty treats enjoyed by all. The best holiday let we have stayed in regards to being well equipped – just like home from home. Welcome pack was a lovely touch. Comfy sofas and bed. Sea Palling is an amazing beach 13 miles away but well worth the drive. The Ship at Mundesley is incredible – huge portions of food. Hope the next family enjoy as much as we have. An enjoyable week has been had by all. Plenty of good food walked off on the nearby beaches and in the countryside. Felbrigg Hall is worth a visit for a walk in the beautiful grounds. Can recommend the Ship at Mundesley for its good food and great atmosphere – very welcoming for both dogs and us. Also enjoyed a good breakfast at the Corner House in Mundesley. Both places gave the dogs fusses and treats. No visit in this part of Norfolk is complete without a trip to Happisburgh and a walk along to Smallsticks at Cart Gap – as lovely as always. The Vernon Arms at Southrepps provided a very special meal to end the week. Thank you for the lovely welcome pack - much appreciated and started the holiday perfectly. Lovely cottage, we couldn’t fault anything! Very dog friendly and really love the secure garden. The welcome pack was much appreciated especially the Nero's Kitchen dog biscuits! Already booked for June 2016! This was our first stay in a self catering cottage and didn’t know what to expect, but WOW what a lovely cottage. It has everything you could possibly need and most importantly, was very dog friendly, with throws, beds and blankets in abundance and a very secure garden. The welcome gifts for humans and dogs were a nice touch. We have thoroughly enjoyed our first visit to Norfolk visiting Cromer, Holt, Sheringham, Sheringham Park. Thank you very much for sharing your beautiful cottage. I am sure we will be back. We thoroughly enjoyed our stay thank you. Cottage is perfect for dogs and it is nice having a secure garden. Also wonderful having a fully equipped kitchen. Very homely. We would love to come back! Ideal stay for dogs who made themselves very much at home. Nice not to have to worry about them being outside in back garden. Provisions on arrival much appreciated. Going home relaxed after a nice week lounging in the sun. Very convenient accommodation all round – didn’t want for anything. Fantastic cottage, lovely area. We will definitely be trying some of the others in the area. 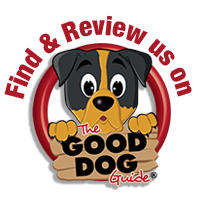 Brilliantly dog friendly – it is so much easier than being somewhere you have to keep them off the furniture! So much to do and see in the area – weather wasn’t great but we found so much to do even without the sun. We have 3 very tired doggies! Had a really relaxing time. Dogs loved the garden, all the walks. Will come back asap, thank you. Our second stay here and don’t want to leave! We have been looking forward to it for a whole year, and NOT disappointed. It is so peaceful, the dogs are so happy, already booked for next year. Thank you so much for sharing your beautiful home. I arrived tired and stressed on the back of a very difficult year and I leave relaxed and reinvigorated. The cottage was perfect, as a single woman with 5 beautiful collies I wasn’t sure how I would manage. The walled garden, a stairgate, tranquility and a slate floor throughout. My worries melted away as I walked through your door, I didn’t venture far, just to the lovely local beach (tip off from lovely local) so telly, wifi, outside table and cooking facilities made the cottage home from home. We loved our treats too. Thank you! We have had a lovely week staying at wonderful Farthing Cottage. Thank you for the delicious human and canine gifts and for providing a lovely clean and thoroughly equipped holiday home. It is clear that a lot of thought has gone into it. The information folder was also great. Fave places – Trunch walks, The Crown at Trunch, The Crown at Banningham, Holkham Beach, Sandringham Estate, Sea Palling beach, Overstrand crab stall and beach (seals bobbing in water watching us on beach). Secure garden is fantastic and essential for us. We have had a very enjoyable week. Took a boat on the Broads for a day, went up to Blakeney (twice) and lunch at Wiveton Hall Cafe – highly recommended!! Cottage is lovely – so well equipped! It's surprising how rare it is to get a decent saucepan in a rental cottage. Bracken really enjoyed her first holiday! And so did the rest of the family! Thank you. What a lovely welcoming and homely cottage, it has had everything our doggies have needed including home made dog biscuits! Humans not left out either with home made jam, fudge, bread, cake and eggs. Great location for lots of coastal walks the favourite being Sea Palling which has an amazing beach which our dogs loved. We have two very tired dogs after all the walks and sea air and will definitely come back here to stay for a holiday. Farthing Cottage is a home from home and well equipped with everything you need and more. We feel very privileged to be the first ERC guests to stay at Farthing Cottage. It has been a very comfortable and relaxed break and our two cocker spaniels were very impressed with the luxurious dog throws, the basket of toys and, best of all, the yummy Nero's Kitchen dog biscuits. The humans also made short work of the lovely goodies left for us. We enjoyed visiting Felbrigg Hall, Mundesley beach and had a lovely meal at the very dog friendly Vernon Arms in Southrepps. There is a good dog walk from the cottage if your turn right and walk to the end of the road. There is a path over the fields where the only sounds are bees buzzing and birds singing. We hope to be back very soon!